Israel Idonije’s path to the NFL was nothing like the ones you hear about year after year. Born in Lagos, Nigeria, Idonije lived there for four years before his parents moved to Brandon, Manitoba. With barely nothing left in the pockets of his parents after the relocation, the Idonije family received some help that has helped turn Israel into the generous human being and athlete that he is today. 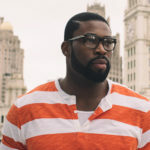 From helping out in the community at an early age and having the importance of hard work instilled in him by his parents, Israel has been able to start The Israel Idonije Foundation, a Foundation committed to inspiring underserved communities by providing programs focused on social and emotional life skills, while playing in the NFL with the Chicago Bears. “Living a life of service is something that I always wanted to do. Doing it through my own Foundation was not part of my plan, it just kind of fell into place and has been growing over the years,” explained the 2009 Ed Block Courage Award winner. Idonije was not invited to the NFL combine, but showed up on his own to distribute tapes of his years at the University of Manitoba. It had worked. Nine NFL team scouts were scheduled to go to Manitoba to watch a workout, but due to the SARS outbreak concerns at the time only the Cleveland Browns ended up attending. The Browns would sign Idonije to their practice squad, but later released him, only to be picked up by the Chicago Bears. The determination that he had to get a workout ended up getting his name out to the teams and has put him in a place where he can do, and has done, a lot for the community. Year after year he continues to help within the community and changes the lives of many through his own Foundation and through the Chicago Bears. “I personally enjoy doing anything that adds value to people’s lives. We do the food drives every year and it’s always a lot of fun to see the smiles on people’s faces because that moment when you realize you’re able to help someone and touch someone it just makes it all worth while and you’ll always remember those moment,” he continued. Idonije applauds the NFL and the NFL players for how much they continue to give back to the community and help people on a daily basis. One of the things that Idonije has been able to do while with the Bears is help out in numerous Chicago neighbourhoods that need the help. He has worked with kids his entire life and believes that when you’re working in the community or plan on starting anything when it comes to the community, you have to think to yourself about what you’re passionate about and work within that field because that’s when you get the most done, which is why his Foundation focuses on inspiring kids and people in the underserved communities. “I have always wanted to teach kids new things, so I wanted to get involved in some of the neighbourhoods here in Chicago,” explained Idonije. Through his programs, Idonije focuses on teaching the kids five core principles to become emotionally connected and have an understanding of who they are as an individual. The principles are self-awareness, social awareness, self-management, responsible decision-making and effective communication, so that way every single person learns those values and develops them to grow as a person. Idonije’s main goal for his Foundation is to continue to grow each year and continue to help out more in the community and get more people involved in what they’re doing, and everything seems to be going in the right direction. He continues to do what he loves both on and off the field and many can say he’s just getting started. He continues to excel as a football player and human being year after year and he has plenty more to offer for years to come.